Make a splash in the City of Fountains! 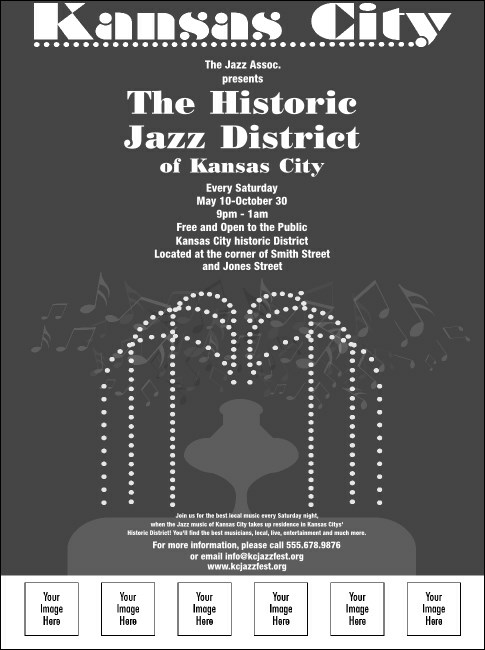 This jazz themed Kansas City Flyer hits just the right note with a spectrum of black and white. With a matching Event Kit and space to upload up to six different custom images, it's a scintillating way to announce your big event. Light up the night with the right Event Kit from TicketPrinting.com!